Overarching themes of Aqua, Arcadia, Bold Geometry, Color, Nightscapes, Oasis, Sanctuary, and Urban frame chapters about the challenges presented by the land, the climate, and the clients interests. 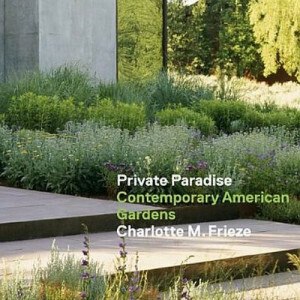 Located throughout the United States, these gardens demonstrate the intersection between traditional elements of garden design and current concerns such as sustainability, drought tolerance, and use of native plants. Wedlick looks at the work of three architects whose attention to detail and fine craftsmanship have gained them broad recognition. 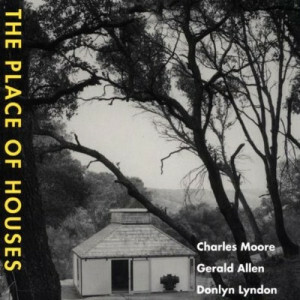 He examines four houses from each and describes through photographs, plans, and drawings the essential elements in each of these houses that make them a "good home." 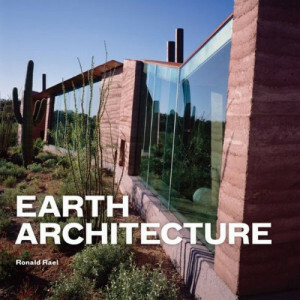 Rael addresses the misconceptions associated with earth architecture. Many assume that its only used for housing in poor rural areas. Its also assumed that earth is a fragile, ephemeral material, while in reality some of the oldest extant buildings on the planet are made of earth. Rael also touches on many topics that pervade both architecture and popular media today, such as the ecological benefits and the politics of building with earth. Sick of McMansions? Marianne Cusato, creator of the award-winning Katrina Cottages, is a champion of traditional architectural principles: structural common sense, aesthetics of form, appropriateness to a neighborhood, and sustainability. 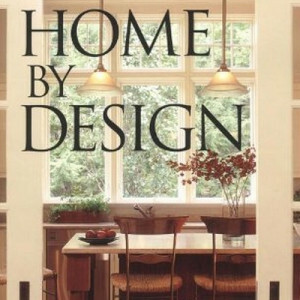 She presents a guide to what makes houses look and feel right, revealing the dos and don'ts of livable home design. 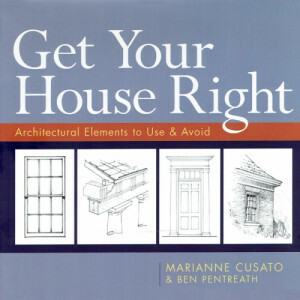 Hundreds of elegant line drawings--rendering the varieties of architectural features and displaying avoid and use versions of the same elements side by side--make this a resource for designing and building a timelessly beautiful home. In Home by Design, Sarah Susanka presents 30 key design concepts that can be applied to any home - no matter what the style or size. Using 28 homes from around the country, Susanka brings these concepts to life with 150 examples: from something as simple as placing a rug under a table to renovating a whole second floor. Home by Design shows homeowners a new way to look at their spaces and provides ideas for how to make each home reach its full potential. House is Diane Keatons stunning portrayal of the way we may live in rusticated, reimagined, or repurposed spaces across the country. Inventive designers have brought their talents to bear upon the structurally old, the disused, and the antiquated, finding in these buildings the hidden beauty that lies beneath the surface of neglect and decay, and through their work revealing possibilities we might bring to our own domestic spaces. Most homes built in the United States over the last fifty years were merely plopped down on a piece of land without any real integration of house and site. The result is a suburban sprawl of homes that are as uninspiring as they are environmentally unsustainable. House in the Landscape demonstrates a viable alternative for landowners who want to build in a more thoughtful manner. Twenty-two houses by some of today's best-known residential architects illustrate nine site types from all over the United States. Each site, the issues it posed, the solutions the architects found, and the resulting house design are discussed and explained in detail. 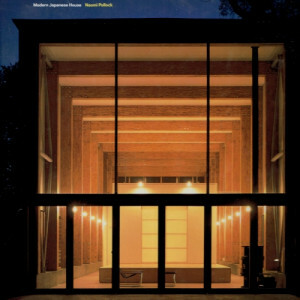 Modern Japanese House is an overview of recent domestic design trends in Japan and features an array of projects from a variety of architects, both known and new to the international architecture scene. The projects are divided into five chapters - Tiny Houses, Inside/ Outside, Multi Generation Houses, Work/Play, and Vacation Houses - that reflect the issues particular to residential design in Japan. 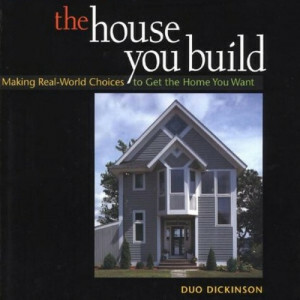 An authoritative volume on the most innovative and environmentally sensitive new residential design. 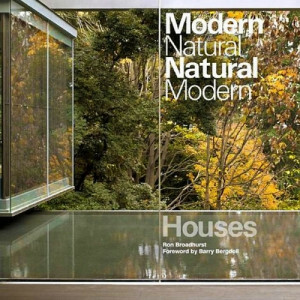 Ron Broadhurst has selected projects on five continents demonstrating the inexhaustible potential of the modern house to enter into a dialogue with nature, either as an extraordinary object within the landscape or as an essay in environmental sustainability, or both. The book presents houses created with sustainability and carbon footprint in mind, as well as houses constructed on spectacular sites. Some houses incorporate the cutting edge of environmentally sensitive design; some radically rethink the use of "traditional" materials such as wood and stone. Since the 1950s, the size of the average North American house has steadily grown while the size of the average family has decreased. Today, a growing number of homebuyers seeking smaller, more efficient residential designs are rediscovering a centuries old housing prototype: the narrow house. 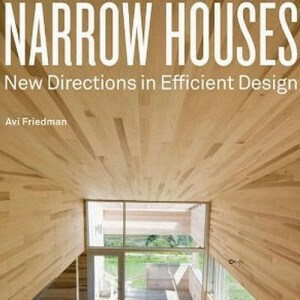 Friedman documents twenty-eight innovative examples of narrow houses from around the world designed by architects. 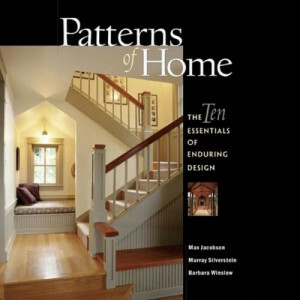 Jacobson, Silverstein, and Winslow present ten 'patterns' that shape and define a well-crafted home. Illustrated with houses from all over the country, Patterns of Home illustrate timeless lessons of residential design. The patterns described in the book can make the difference between a home that satisfies only the material needs of the owners and one that captures the essence of home. 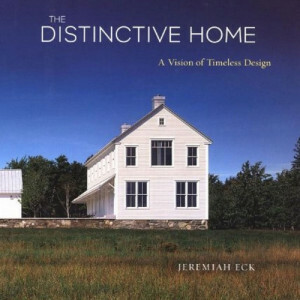 Jeremiah Eck explains that a distinctive home is the result of a balance between site, floor plan, exterior elements, and interior details. In The Distinctive Home, he describes the significance of each of the four elements and provides numerous examples of good design for each. Included are images and descriptions of 50 houses (ten of them the author's own designs) that cover a wide range of styles, regions, and budgets. A final chapter unifies the four elements in detailed profiles of several of these houses, examining how their components work together to attain the status of "distinctive." 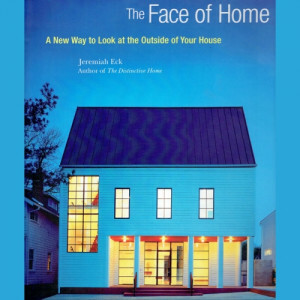 Eck explores the concepts and applications of exterior design and how they can be successfully used to enhance the experience of home and provides a fresh, new language for describing, understanding, and shaping the face of home. 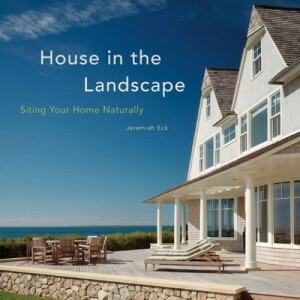 After a chapter that illustrates the way houses have traditionally been identified - by historical description, shape, or style - Eck introduces a new, fuller language for exteriors that goes beyond and behind these to explore the basic concepts of good exterior design. Dickinson demonstrates that a custom house doesn't depend on a fabulous price tag. 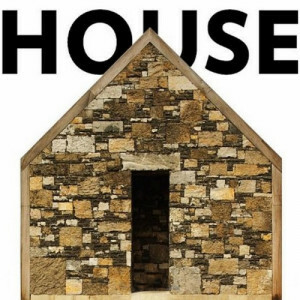 The House You Build illustrates a way of building that is grounded in the realities of time and money, but focuses on hopes and dreams. When you build on a budget, there are no right answers, only careful choices. There are 20 dreams in this book, and these dreams came true. Ten years ago, Sarah Susanka became a publishing sensation with a deceptively simple message: quality should always come before quantity. Now, the book that celebrated that 'bold' declaration is back in a special anniversary edition. 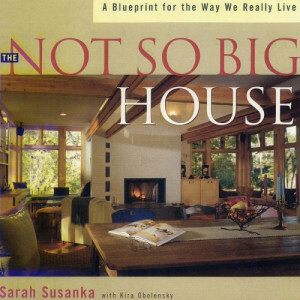 In this landmark home design book, Susanka provides homeowners the guidance and language to get what they want: a house that is better not bigger and one that emphasizes comfort, beauty, and a high level of detail no matter how small it is. 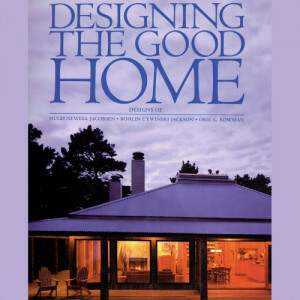 The authors establish the basis for good building by examining houses in the small Massachusetts town of Edgartown; in Santa Barbara, California, where a commitment was made to re-create an imaginary Spanish past; and in Sea Ranch, on the northern California coast, where the authors attempt to create a community. These examples demonstrate how individual houses can express the care, energies, and dreams of the people who live in them, and can contribute to a larger sense of place.